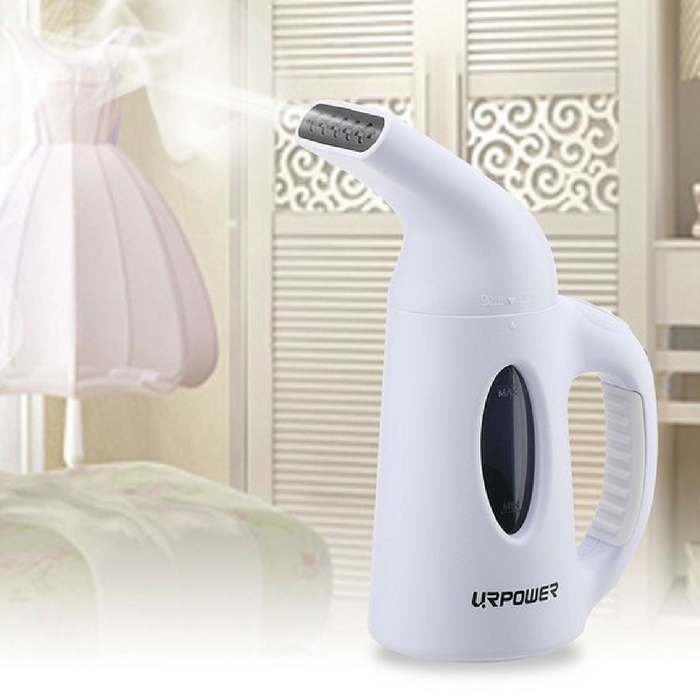 Portable Garment Steamer Just $19.99! Down From $70! You are here: Home / Great Deals / Amazon Deals / Portable Garment Steamer Just $19.99! Down From $70! This is something you shouldn’t miss! Head over to Amazon and get Portable Garment Steamer for just $19.99 down from $69.99! Get FREE shipping with Amazon Prime or for orders over $35! This handheld steamer is packed with powerful technology that emits dry steam to remove wrinkles faster than the average iron. You can use it to remove wrinkles in clothes, cushions, beds, and other fabrics around the house. Hurry while it’s on a great deal! Perfect Design: New nozzle design that distributes steam powerfully and consistently to remove stubborn wrinkles. And the compact design make the item travel and store easily. Safety Protection: There is automatic shut-off function when the unit gets too hot or the water level is too low. Safe to use on all types of fabric. Fast-Heat: Heats quickly to emit wrinkle-busting steam in 2 minutes.